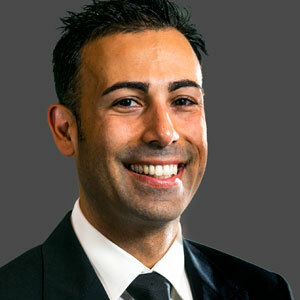 Co-host of WPT Alpha8™, Ali Nejad has been involved in televised poker since 2004. He fell in love with the game in college at UC Berkeley, and eventually dropped out in 1998 to pursue a career as a professional poker player. Nejad worked as a dealer and a prop player before climbing the ranks to become a regular in high-stakes games both live and online. Nejad met famed television producer Mori Eskandani aboard the PartyPoker Million cruise in 2003, and soon after he appeared on popular shows like Poker Superstars, NBC National Heads-Up Poker Championship, and Poker After Dark. He further entrenched himself in the poker world in the mid 2000’s, linking up with Joe Sebok to host the incredibly popular Poker Road Radio show. With an impressive broadcast résumé, Nejad expanded his reach and linked up with ESPN’s college network ESPNU. For two years, the Iranian-American traveled around the United States to various college campuses as the host of Road Trip, and also appeared on UNite. Nejad now appears frequently on HLN: The News and Views network. Nejad can be found alongside Olivier Busquet, co-hosting WPT Alpha8 on Fox Sports 1 Mondays at 9 p.m. EST (6 p.m. PST).